Home features – Downstairs master suite with elegant bathroom, walk in closet with laundry room access, 2 large bedrooms plus additional living space upstairs, additional bedroom with full bath upstairs as well, granite counter tops with executive kitchen cabinets and island, dramatic ceiling in the family room, covered patio and much more! Please, send me more information on this property: MLS# 937269 – $294,000 – 6931 Tempe Avenue Nw, Albuquerque, NM 87114. 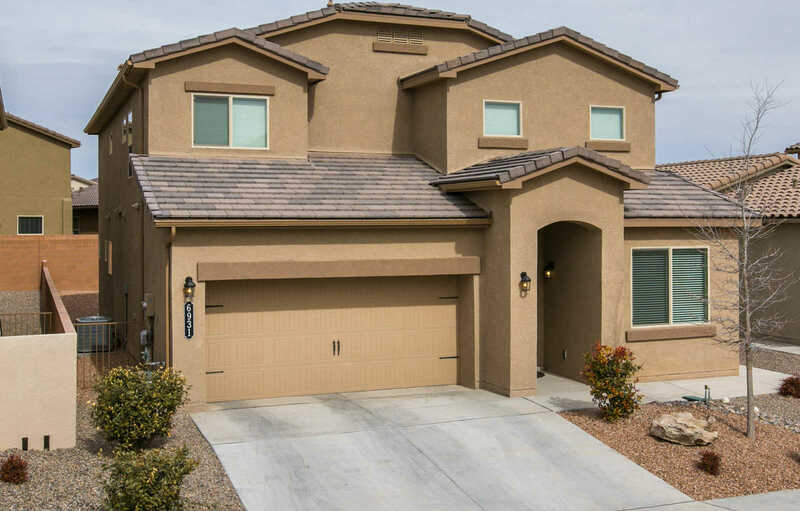 I would like to schedule a showing appointment for this property: MLS# 937269 – $294,000 – 6931 Tempe Avenue Nw, Albuquerque, NM 87114.